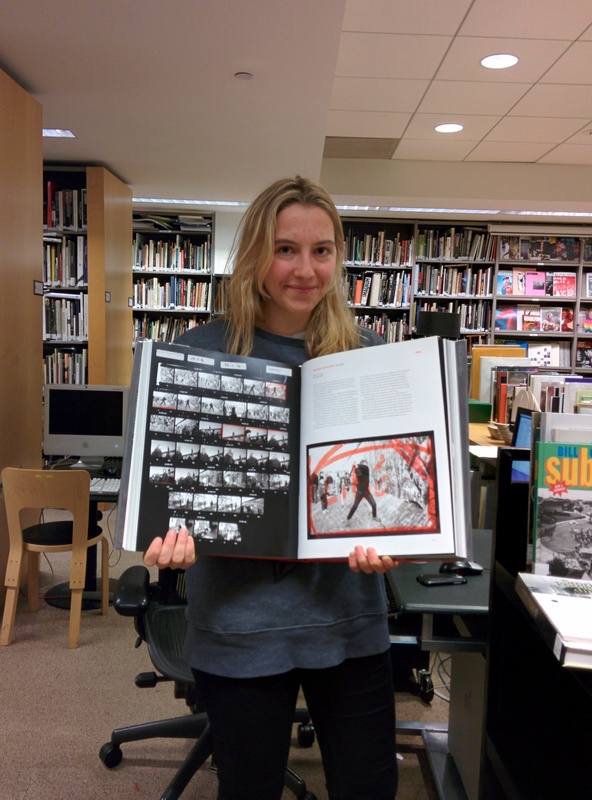 The book I chose to write about is a book that allows you to look into the working process of photojournalists. It starts with the work of photographers in the 1930s and 1940s, showing manly war photography. Later you see many pictures that were taken at special occasions as for example during the arrival of the Dalai Lama in Siliguri. Often you recognize the pictures that were published in the end. It’s nice to read about the story of the picture, which is usually explained in a comment either of the photographer himself or of Kristen Lubben. It’s interesting to see the process of drawing up a shortlist, and making the final pick and then to compare the procedure of the different photographers. But what I especially like is to look at the contact sheet and think about which photo I would have chosen or to see what else has happened during the shoot or the event. The book gives you the opportunity to not only see unpublished photos but also to get a glimpse of what it means to be a photojournalist and how (more or less) famous photographers work and think. This entry was posted in Intern posts, International, Unpacking the collection and tagged Contact Sheets, Germany, interns, Magnum, photobooks, Raymond Depardon. Bookmark the permalink.